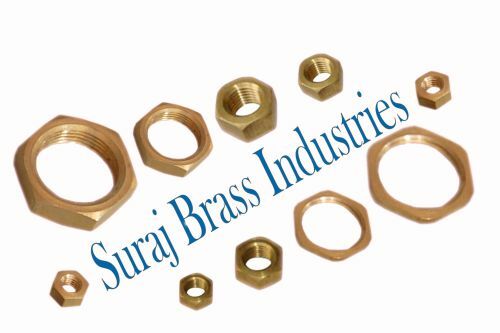 Our company is identified as one of the most preeminent Brass Nuts Suppliers in India. The brass used in the manufacturing of the Brass Lock Nuts ensures high durability, tensile strength and resistivity of varied adverse conditions. Additionally, the Brass Hex Nuts & Brass Panel Nuts available in the array are available as per the specifications and drawings provided by the clients.